Our rabbitry is located in one half of our garage. The garage is heated to approx. 50 degrees in the winter and cooled with "through the wall" fans in the summer. I have installed windows to make sure they get plenty of natural sun light. We take each of our bunnies out regularly to play in their play pen for exercise. Between myself and our children, we handle our bunnies on a daily basis. We feed our rabbits pellets and timothy hay and we play old time rock and roll music for them to enjoy!! We enjoy taking some (not all) of our bunnies to local shows. 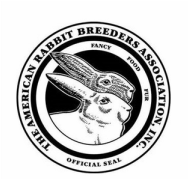 I am a licensed ARBA Registrar and can help with registering your bunnies (all breeds). 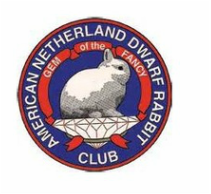 Please contact me if you have any questions concerning registering your rabbit.